We’ve been fans of Syrp for a little while now because of their easy to use and powerful motion control devices. 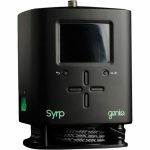 So we wanted to speak with one of the men behind the motion control, Ben Ryan, about Syrp’s awesome line of products. Genie – $789 – The Genie. Add motion control to your existing film gear! 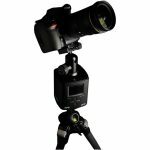 Genie Deluxe Kit – $889 -The Deluxe kit also includes the Syrp ballhead, essential for mounting your camera to the Genie, a perfect match for the product and DSLR cameras. Genie Epic Kit – $1,099 -The Genie Epic kit includes the Syrp Ballhead and the Magic Carpet Short track. The Genie is a simple, portable solution for motion control Time-lapse + Real-time video. Designed to be part of your regular camera kit, with no external wires, batteries or controllers there’s no need to ever go without the option of motion control again. The key to the Genie lies in its compact size, easy-to-use menu and extreme versatility. Rather than limiting yourself to a fixed length rail system or slider, simply attach the Genie to your existing professional gear or DIY equipment for smooth Motion Control Time-lapse + Real-time video control. 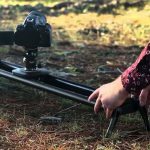 Short, 2.6′ Track – $299 – Magic Carpet short track is your answer to a portable, affordable slider. The short track is 2.6′ (800mm) and comes motion control ready. Long, 5.2′ Track – $369 – The Magic Carpet long track is a motion control ready smooth roller bearing slider at 5.2′ (1600mm). Epic Kit – $469 – Magic Carpet Epic Kit includes both the Magic Carpet short track and long track slider lengths as well as the interchangeable carriage and end caps. The Magic Carpet is a simple, elegant, and durable slider for producing silky smooth professional tracking movements. The Magic Carpet is ‘Genie friendly’ and includes everything you need to quickly add full motion control. The Magic Carpet is Beautifully designed and engineered with the filmmaker in mind and is the perfect lightweight solution for manual tracking shots which comes motion control ready. 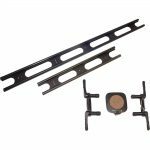 With quick release adjustable legs, a counter weight roller for vertical shots, and high precision ball bearing rollers, the Magic Carpet is ready for quick setup and precision filmmaking.